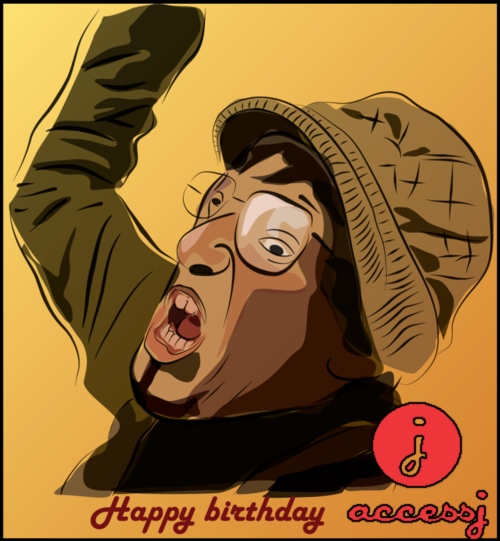 In all our fury of thrice weekly posting, filling our beloved readers' heads with (sometimes) useful and (sometimes) funny information about how to not simply live but thrive in Japan, AccessJ's second birthday almost slipped by without a proper tip of the hat. Coincidentally, this is also our 500th post. For readers thinking about taking up an ALT job, guides on what to expect and how to cope in that position, and to get you started, our collection of worksheets and lesson plans (many ideas borrowed from the ranks of English teaching veterans, many original). The assistant teacher job gets a bad rap, but we think there's plenty to get out of it. Get your foot in the door, save your money, and take it as a chance to learn. Yes, some parts are frustrating. Hate your textbook? Well, its history is enlightening as to its content. Baffled by your coworkers' ineptitude? They may not have intended to be a teacher either. When it comes time to move on from the assistant teaching jobs, we share some tips on how to set yourself apart. Get familiar with the vocabulary of the job hunting world, practice handwriting a Japanese resume (a probably silly convention which every job I've had or applied for has nonetheless required of me), and check out a few places outside the usual Gaijinpot Classifieds sphere that helped us in our own job hunts. Learn how to manage your health insurance, doctor and dentist visits, and how to make the most of your mobile phone contracts. Understand the details in your passport and the differences in over the counter drug laws. Get licensed for, buy, own, and eventually sell your very own car. Get approved for a yen-denominated credit card. Find the best price when you're shopping. Sign on your own apartment rather than living under an employer's thumb. Then, get that apartment connected to the net... just in case you are still exclusively reading our articles at net cafes, accompanied by the pungent aroma of sweat socks and a spasmodic descant of your neighbors' sleep apnea above the calming whir of tower fans. Some of your Japanese coworkers very probably don't know how to complete a user shaken or what to do if their vehicle registration expires. They're probably never donated bone marrow. When you make a financial transaction, there's a proper way to abbreviate for a furikomi. If your medical expenses pile up here, you can apply for a tax deduction. Likewise, if you have medical insurance in Japan but are treated during a visit abroad, you might be eligible for some reimbursement. Beyond the mundane, we've tried to help out on a wide swath of "what if" scenarios as well. We think that a critical component of a fulfilling life in this country--of really being able to do things yourself and access everything Japan has to offer--is speaking the language. Although we don't style ourselves as a "learn Japanese" website, our regular contributors are all JLPT examinees and we take an interest in the subject. We share our own favorite sites for studying Japanese, and we post occasional asides about interesting Japanese turns of phrase as we learn about them ourselves. You're in a foreign land. Get out and see the sights. Find out what you can make with the local produce and eat well. Make your hair Japanese straight. Make sense of Japanese TV. Put a picture of yourself on some custom made stamps from the post office. Learn how Japanese addresses work. Try all the great things Japan has to offer. And thank God for it. Living here doesn't mean giving up your identity. You can still enjoy the comforts of home in Japan, and we're here to help you find them. Eat your favorite foods. Watch your favorite TV shows from home. Buy clothes that aren't adorned with excessive, ridiculous frills. Laugh (kindly) at how drunk your coworkers get at parties after just one drink. Deal with the blistering summer rather than just flapping an uchiwa around like a dolt. Insulate your house against winter even though some Japanese architect didn't think it necessary. Deck out your home with real furniture, like a couch whose seat is more than 30 cm off the ground. So, here's to two years and 500 posts. And here's to the many more to come.